Samsung Galaxy J2 has just been officially launched. Though its a mid range smartphone. It came with a 5inches screen display and *MP back camera, 5MP front facung camera with Smart Glow features. 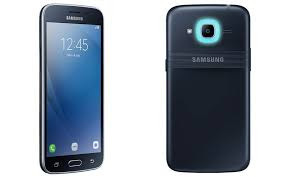 Samsung Galaxy J2 has a RAM of 2GB and 16GB internal storage fueled with a quad-core processor hitting 1.5 GHz. It came with Super AMOLED capacitive touchscreen and Android OS, v6.0.1 (Marshmallow out of the box). It is also 4G LTE enabled with 2600mAh battery capacity(removable battery). There are cool specifications and features in this smartphone but the battery capacity is not that cool though. Anyway, kindly checkout the full specifications and features of this smartphone below. Price: $185 IN Dollars / Rs. 12,500 INR in India and about N51,800 in current exchange rate in Naira.